A Singapore court has ordered veteran journalist and scholar JMD to reveal his sources for his reporting on an audit of suspended world soccer body FIFA vice president and Asian Football Confederation (AFC) president Mohammed Bin Hammam's management of AFC's finances and agreement with a Singapore-based company on the group's marketing rights. The court accepted a demand by World Sports Group (WSG) to instruct the journalist and scholar to reveal his sources on the grounds that the audit was confidential and that the sources had defamed the company. The court in a four-hour hearing however stayed its decision pending an appeal that Mr. Dorsey's lawyers, N. Sreenivasan and Sujatha Selvakumar of Straits Law Practice LLC, will submit in the coming days. Mr. Dorsey's lawyers argued that he was not a party to any confidentiality agreement and that if WSG had an issue it should take it up with the AFC to whom the original report was addressed. The lawyers noted further that the code of ethics of journalists in Singapore as well as in numerous Asian countries, including Malaysia and Hong Kong shield journalists from revealing sources. WSG has said it applied to the High Court to force Mr. Dorsey to reveal his sources with the intention of launching possible defamation or breach of confidence proceedings. "We want information so we can determine what charges to make and against whom," WSG lawyer Deborah Barker told Agence France Presse. The internal AFC audit conducted by PriceWaterhouse Coopers (PwC) charged that Mr. Bin Hammam had used an AFC sundry account as his personal account, questioned the terms and negotiation procedure of a $1 billion marketing rights agreement between WSG and the AFC and raised questions of $14 million in payments by a WSG shareholder to Mr. Bin Hammam prior to the signing of the agreement. Malaysian police earlier this month arrested the husband of an associate of Mr. Bin Hammam on suspicion of helping steal documents related to one of the payments to Mr. Bin Hammam from AFC’s head office in Kuala Lumpur. report, with defamation proceedings. However in an August 28, 2012 letter to this reporter WSG Group Legal Advisor Stephanie McManus asserted that “PWC are incorrect and misconceived in suggesting that the MRA was undervalued. They have neither considered the terms of the contract correctly, the market, nor the circumstances in which it was negotiated,” Ms. McManus wrote. The master rights agreement is controversial both because of the unexplained payments as well as assertions by sources close to the AFC that the soccer group, in line with common practice among international sport associations, should have concluded a service provider rather than a master rights agreement with WSG. The sources said such an agreement would have given the AFC greater control of its rights and how they are exploited and enabled it to better supervise the quality of services provided by WSG. In a July 13 letter to lawyers Shearn Delamore & Co, PWC explicitly leaves open the possibility that the AFC might share the report with third parties. For that reason, the terms of the report contain a clause that shields PwC from any liability should the AFC choose to share the report with non-AFC institutions or persons. The letter stipulates that the report is intended “solely for the internal use and benefit of Shearn Delamore & Co. and the Asian Football Confederation,” and that third parties are not authorised to have access to the report. The letter however goes on to say that should third parties gain access they agree that the report was compiled in accordance with instructions by the law firm and the AFC and that PwC is not liable for any consequences stemming from the fact that third parties had been granted access. Lawyers for FIFA earlier this year sought unsuccessfully to introduce the report in Mr. Bin Hammam's appeal proceedings in the Lausanne-based Court of Arbitration of Sport against the world soccer body's banning for life of the Qatari national from involvement on soccer on charges of bribery. Both FIFA and the AFC have suspended M. Bin Hammam on the basis of the report pending further investigation of the allegations in the PwC report and separate charges that he last year sought to bribe Caribbean soccer officials. Mr. Bin Hammam has denied all allegations and charges. SINGAPORE - Singapore's High Court ordered a blogger to reveal his sources Friday after he reported that a leaked internal audit detailed large payments to suspended Asian soccer chief Mohamed bin Hammam. move was approved after a closed-door session lasting nearly four hours. (AFC), which he said listed payments to its president, bin Hammam. Group, Dorsey said, in a deal reportedly worth $1 billion (S$1.22 billion). "We want information so we can determine what charges to make and against whom,"
said Deborah Barker, senior counsel representing WSG. renewed intrigue related to the bin Hammam situation. bin Hammam's from the body's Kuala Lumpur headquarters. replace the world body's president, Sepp Blatter. which bin Hammam played a role. The bid, alongside others, is now under investigation. Arbitration for Sport on grounds of insufficient evidence. AFC pending investigations into the Asian body's financial dealings. company", is majority-owned by French company Lagardere. marketing partner of the OneAsia golf circuit. 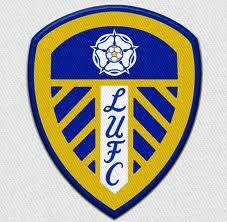 What future for Leeds United? Manchester City or Portsmouth FC? Supporters of Leeds United have welcomed a Middle East bid to acquire their troubled English soccer club with no clarity about who the real buyer is. Trust chairman Garry Cooper said Leeds fans were “hoping for investment in the team and for Leeds United to be glorious again.” He noted that a return of the club to the Premier League after it was relegated in 2007 to England’s second division as a result of its financial problems would reap its new owners profits from Leeds United’s share in the GBP 3.2 billion in broadcast revenues. The risk is however that GFH because of a confidentiality clause declined to reveal on behalf of which Middle Eastern investor it was acting. Middle Eastern investment in European soccer has proven to be a mixed blessing with some clubs such as Manchester City rising from the doldrums to win the Premier League and Paris St. Germain beneftting and pushing ahead in performance and others like Servette FC, Malaga SC and Portsmouth FC struggling with the fallout of investors failing to live up to expectations. As a result, the key question for Leeds supporters should be who is the investor and what is the purpose of the acquisition; those are questions that have yet to be answered. For its part, Portsmouth, financially bankrupt and relegated from the premier to the third league after two acquisitions by different Arab owners with little real interest in the club, is currently facing the question whether it wishes to give Middle East investors a third chance. GFH itself, an Islamic investment bank, has struggled financially in recent years. It agreed in May with creditors on a plan to restructure $110 million debt. The difference between a Middle Eastern soccer investment that pays off and one that can deepen problems appears to be whether the investor is institutional or a member of a Gulf royal family with a strategic interest in the acquisition or a businessman operating on his own. GFH is believed to have been engaged by private investors rather than one of the region’s sovereign wealth funds involved in the more successful European soccer acquisitions. To be fair, the successful acquisition of Manchester City by Sheikh Mansour bin Zayed bin Sultan Al Nahyan, a member of the Abu Dhabi royal families who sits on the board of several of the emirate’s key economic entities, was initially fronted by United Arab Emirates billionaire businessman Sulaiman al-Fahim. Similarly, PSG was purchased by the Qatar Sport Investment, the Gulf state’s premier sport investment vehicle. These soccer investments by Qatar and the UAE serve to increase the small Gulf states' international prestige, enable them to punch internationally above their weight, build sports as an economic sector that enhances tourism and makes them key nodes in the world’s sports infrastructure and provides leverage for further business opportunities. Qatar moreover has identified sports as a key pillar of a national identity it is trying to forge. The strategy is long-term and is reflected in the two states’ approach towards their sport investments. However, Mr. Al Fahim’s subsequent acquisition of Portsmouth sent the struggling club off the deep end. The businessmen acquired Portsmouth in April 2009 after he had pushed aside by the Abu Dhabi royals. He defeated a rival bid by the club’s CEO Peter Storrie, who was backed by Saudi property tycoon Ali Al-Faraj. Barely five months later, Mr. Al-Fahim sold 90 per cent of his stake to Mr. Al-Faraj whose equally brief reign effectively put the company definitively on the road to humiliation and administration. Like Portsmouth, Malaga is experiencing the travails of a businessman who has taken on more than he has wanted or is able to bite even if it is in better shape than the English club. Malaga went through a high acquiring numerous players after it was independently acquired in 2010 by Sheikh Abdullah Al-Thani, a member of the Qatari royal family. The acquisitions helped the club qualify for the Champions League for the first time in their history. The writing was nonetheless on the wall when soon after its qualification when players initially were not paid and the club was forced to start selling some of its most valuable assets. With a debt of 90 million euros, Malaga too could be relegated and may have to forfeit competing in the Champions League. Geneva’s Swiss Super League club Servette FC and Austria’s Admira Wacker haven’t fared much better. Servette is on the brink of collapse after Iranian businessman Majid Pishyar who acquired it in 2008. It filed for bankruptcy earlier this year. Mr. Pishyar, who managed the club on a shoe string, tried unsuccessfully to attract government funding by last year appointing Robert Hensler, a former top civil servant for the canton of Geneva, as vice-president. His earlier efforts to salvage Admira, his first European acquisition, failed too. Servette’s problems come on the heels of the bankruptcy in January of Neuchatel’s Super League team Xamax whose Chechen owner was arrested on charges of fraud and financial mismanagement. Demonstrations against an American-made anti-Islam video clip have sparked fierce debates in the Muslim world. They also provoked demonstrations against militant Islamists and spurred initiatives by governments and religious authorities to turn anger into constructive engagement with the rest of the world. THIS MONTH’s violent protests in Muslim countries against the bigoted anti-Islam video on the Internet have taken place against the backdrop of popular uprisings in the Middle East and North Africa over the past two years. They have catalysed a change in the attitude and approach of Muslims, which had over the past two decades reacted to perceived insults to Islam and the Prophet Muhammad with a series of protests that produced death and destruction, which in retrospect are little more than blips on the radar of history. To be sure, this month’s protests were as lethal as the past protests including those following Ayatollah Ruhollah Khomeini’s 1989 fatwa against British writer Salman Rushdie, the 2004 killing of Dutch filmmaker Theo van Gogh for producing a film critical of Islam’s treatment of women, and the 2005 Danish anti-Muslim cartoons. Scores have been killed in the recent protests, most prominent of whom was US ambassador to Libya Christopher Stevens. However unlike past protests, this month’s outrage has produced historic change with protests against Islamist militants; debate about the role of religion in politics; how Muslims should respond to blasphemy; the limits of freedom of expression; and initiatives to engage in dialogue with the non-Muslim world. In effect the anti-Islam video clip, which got more than 30 million hits since the protests erupted, may have been the spark but the protests were really about the kind of society the Arab world is striving for and struggles for power among Islamists. Also as in the case of militant soccer fans in Egypt, they were a settling of scores with the police and security forces, the foremost remnants of the ousted regime of former president Hosni Mubarak. In the most dramatic expression of change, angry Libyan protesters last weekend attacked Ansar al Sharia, the militant Islamist group believed to be responsible for Stevens’ death, forcing the group to abandon its base in the city of Benghazi and the government to announce a crackdown on the country’s myriad of armed groups. Similarly, Egyptian activists have taken legal action against Ahmed Abdullah aka Abu Islam, who burnt a bible during last week’s protest in front of the US embassy in Cairo, and television host Khaled Abdullah who first aired the controversial video clip, The Innocence of Islam, on Salafist Al Nast tv. On Facebook, the “We are all Khaled Said” page that played an important role in mobilising last year’s protests that toppled Hosni Mubarak, listed reasons why Muslims should have ignored the video rather than ensure its popularity. In Lebanon, a presenter on Future TV that is owned by Sunni Lebanese leader Saad Hariri, denounced the Shiite militia head Hassan Nasrallah as a hypocrite in a 15-minute political diatribe, for calling for protests against the video clip while remaining silent about the Assad regime’s destruction of mosques and killing of Muslims in Syria. Similarly, Sheikh Assir, a hardline cleric at an anti-video protest in the southern Lebanese city of Sidon, denounced Hezbollah for displaying portraits of Syrian President Bashar al-Assad at a rally, describing him as a butcher. The protests have also persuaded some governments and religious authorities to turn anger into positive engagement. Qatar has announced that it is investing US$450 million in a three-part epic that depicts the life of Prophet Muhammad. Ali Goma, the grand mufti of Egypt urged Muslims to "follow the Prophet's example of enduring insults without retaliating" and reportedly is looking at launching an international campaign under the motto, ‘Know Muhammad,’ to explain Islam to the non-Muslim world. On the other hand, the protests have also strengthened the hand of Muslim conservatives who insist on strict laws against blasphemy and limiting freedom of expression to ensure that Islam is shielded against criticism and mockery. Salafis in Egypt could succeed in pressuring the Muslim Brotherhood to include a ban on blasphemy in the drafting of the country’s new constitution. A similar provision has already been included in the draft Tunisian constitution. Saudi grand mufti Sheikh Abdul Aziz Al-Asheikh and the grand imam of Cairo’s Al Azhar University, Sheikh Ahmed el Tayyeb, called separately for the criminalisation of all insults of religious prophets and messengers. Without doubt, a majority in nations across the Middle East and North Africa rejects expressions of blasphemy and supports laws against insults of Islam across the region. Nevertheless, the debate sparked by the recent anti-video protests is largely reflective of the tensions in societies transiting from autocracy to a more open form of government. For Islamists the struggle against blasphemy is in part a response to autocratic repression that, for example in Tunisia, targeted men with long beards who attended dawn prayers. Liberals across the region walk a tightrope between advocating freedom of speech that would allow criticism and mockery of religion and losing whatever public support they may have. Change produced by the most recent protests is unlikely to amount to Western-style liberalism. It does however constitute a watershed in which people for the first time draw lines that they could not draw before and in which anger pent-up in societies with no release valves or manipulated by autocratic rulers, not only spills into the streets but is also being channeled into engagement. It may be just one step forward, but nonetheless, it is an important step. James M. Dorsey is a Senior Fellow at the S. Rajaratnam School of International Studies (RSIS), Nanyang Technological University. He is also the author of the blog, The Turbulent World of Middle East Soccer. The Kosovo Football Federation (KFF) and soccer-crazy Kosovars are not the only ones in anxious anticipation of this coming Friday’s executive committee meeting of world soccer body FIFA that is expected to decide the terms on which Kosovo will be allowed to play international friendlies. 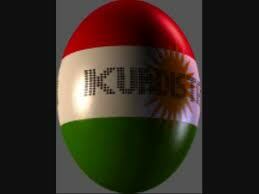 So will the Kurdistan Football Association and equally soccer-mad Kurds. Kosovo and Catalonia, which already has been granted permission by FIFA to play international friendlies, are models for Kurdistan to whom soccer is also an important tool in achieving recognition as a nation and statehood. For Kurdistan, it is an uphill battle. Kosovo and Catalonia have a leg up on Kosovo. Unlike Kurdistan, an autonomous region in Iraq that enjoys no recognition from an international community afraid that its independence would further destabilize the Middle East, Kosovo has been recognized by the United States, 36 European nations including 22 European Union members, and 54 other countries. Kosovo moreover is a member of the World Bank and the International Monetary Fund. In addition, Kosovo achieved full sovereignty this month with the ending of international supervision imposed after it unilaterally declared independence from Serbia in 2008. For its part, Catalonia’s bid was backed by the Spanish Football Federation. Kurdistan has none of those assets. The KFF’s relations with the Iraqi soccer body are strained with Iraqis weary of Kurdish efforts to strike out on their own. Unable to breakthrough internationally, Kurdistan organized last June the 5th VIVA world cup for nations that FIFA refuses to recognize. Competing teams included Kurdistan, Northern Cyprus the Tamils, Western Sahara and Darfur. That is in many ways true for Kurdistan too, which like Kosovo has Kurds playing in major European clubs. Nonetheless, the hardnosed, realpolitik objections to Kurdistan, for all practical matters a state-in-waiting, following in the shoes of Kosovo and Catalonia outweigh the moral arguments in its favor. FIFA’s embrace of Kosovo will nevertheless make Kurdistan and others all the more determined to achieve equal soccer status. A statement by Iraqi Kurdish president Massoud Barzani equating sports to politics as a way of achieving recognition adorns Iraqi Kurdistan’s three major stadiums and virtually all of its sports centers and institutions. “We want to serve our nation and use sports to get everything for our nation. We all believe in what the president said,” says KFF president Safin Kanabi, scion of a legendary supporter of Kurdish soccer who led anti-regime protests in Kurdish stadiums during Saddam Hussein’s rule. With other words, soccer may not achieve immediate political and diplomatic recognition but it certainly puts nations in the public eye. “Our external objective is primarily to project our identity through sports. Many people don't know our problem or would not be able to find us on a map. Soccer can change that. We had a French woman visit our refugee camps. When she told children that she was from France, they all replied saying Zidan” – a reference to retired star soccer player Zinedine Zidan, a Frenchman of Algerian origin, argues , said Sheikh Sidi Tigani, president of the Western Sahara Football Federation. “We’ve replaced the gun with a soccer ball,” adds West Saharan national sports director Mohammed Bougleida. In using soccer as a tool to further nation and statehood, Kosovars, Kurds and West Saharan exploit a tradition established at the time that soccer was introduced in the Middle East and North Africa by the British when soccer was a tool to resist European colonialism and assert Arab interests internationally. “Our success with VIVA demonstrates our ability to govern ourselves. Our goal for now is to be part of FIFA. All languages are represented in FIFA, only Kurdish isn’t while (FIFA president Sepp) Blatter claims that football is for everyone. We are human. We want the world to understand Kurdistan’s contribution,” says Mr. Kanabi. Der Fall Mohamed Bin Hammam beschäftigt weiter die internationale Fußballszene. Hat der ehemalige AFC-Präsident manipuliert und bestochen? Der Journalist James Dorsey sagt: ja. Jetzt versucht der Funktionär den Reporter zum Schweigen zu bringen. Ein Angriff auf die Pressefreiheit? Wenn in den vergangenen Monaten über Mohamed Bin Hammam und den asiatischen Fußballverband berichtet wurde, ging es meistens um das Thema Korruption und Geld. Hat der Qatari und ehemalige Präsident des Asiatischen Fußball Verbandes (AFC) Bin Hammam mit viel Geld Stimmen für die Wahl zum Präsidenten der FIFA gekauft? Hat er seine Position als AFC-Präsident missbraucht? Im englischsprachigen Raum gibt es wohl keinen zweiten Journalisten, der so akribisch und lange über die Machenschaften der Fußballfunktionäre berichtet hat wie James Dorsey. Jetzt wird er angeklagt, von der World Sports Group aus Singapur. Dabei hat er nur getan, was ein Journalist tut: er hat berichtet. Die World Sports Group (WSG), Marketingpartner des AFC, hat allerdings etwas dagegen. Sie will mit allen Mitteln versuchen, an die Namen von Dorseys Informanten zu kommen. Vor allem aber will sie den Journalisten zum Schweigen zu bringen. Zum Verständnis: Am 5. September berichtete Dorsey, der AFC habe der malaiischen Polizei gemeldet, wichtige Dokumente seien gestohlen worden. Die Dokumente stünden in Verbindung zu einer getätigten Überweisung von International Sports Events (ISE) - einer Anteilseignerin der WSG - an den ehemaligen AFC-Präsidenten Mohamed Bin Hammam. Die fehlenden Dokumente beziehen sich genau genommen auf eine Zahlung von zwei Millionen US-Dollar vom Jahre 2008, von der in Saudi-Arabien sitzenden ISE. Dorsey berichtete weiter, es habe eine weitere Zahlung von zwölf Millionen US-Dollar gegeben, diesmal aber von der Al Baraka Investment and Development Company. Die malaiische Polizei ermittelt in dem Fall, Mohamed Bin Hammam soll in dem Diebstahl der Dokumente verwickelt sein. Die malaiische Polizei hat jetzt den ersten Verdächtigen festgenommen. Tony Kang, Ehemann der einstigen Finanzdirektorin des AFC. Nach Bin Hammams Suspendierung hat man Amelia Gan entlassen; Grund war der Verdacht auf Korruption und Bestechung. Tony Kang wird jetzt beschuldigt, mit dem Diebstahl der geklauten Dokumente in Verbindung zu stehen. Dorsey, der selbst in Singapur lebt, belegt seine Behauptungen mit einem AFC-internen Bericht von PriceWaterhouseCoopers (PwC). Die Wirtschaftsprüfer von PWC befassen sich unter anderem mit der Führung eines AFC-Bankkontos. Sie lassen keine Zweifel offen, Bin Hammam habe das Konto genutzt, als sei dies sein persönliches Konto gewesen. Ein weiterer Teil befasst sich detailliert mit den Verträgen zwischen dem Asiatischen Fußballverbund und der WSG. Geprüft werden im wesentlichen drei Punkte: die Art und Weise, wie der Vertrag zwischen den Parteien verhandelt und aufgesetzt wurde sowie die Eigenschaft des Vertrages und Bezeichnungen. Zuletzt ging es um die zwei oben genannten Zahlungen. Die beiden Zahlungen gingen direkt auf das Konto, welches Bin Hammam nutzte als sei es sein persönliches Konto. Von diesem Konto wurde das gesamte Geld zu Bin Hammams tatsächlichem Privatkonto überwiesen. „Es ist nicht klar, warum diese Zahlungen getätigt wurden und auch nicht, wofür das Geld bestimmt war“, so der Journalist. Wie er an die internen Unterlagen gekommen ist, bleibt sein Geheimnis. Es scheint, Bin Hammam habe das Konto des Fußballverbandes zur Geldwäsche benutzt, ein Grund warum der AFC die Wirtschaftsexperten von PwC beauftragt hat. Die Zahlungen stehen mit großer Wahrscheinlichkeit in Zusammenhang mit dem Vertrag der WSG. Der Report von PWC wirft aber in erster Linie Fragen auf und gibt keine Schlussfolgerungen, Fragen die die WSG zum Beispiel nicht beantworten will – im Gegenteil. Dorsey zeigt sich von solchen Aussagen wenig beeindruckt. »WSG stellt sich nicht den Anschuldigungen. Sie versuchen einfach nur, die Debatte zum schweigen zu bringen. Sie wollen mich einschüchtern.« Er werde seine Quellen nicht offen legen und schon gar nicht aufhören zu berichten. Und genau das versucht die World Sport Group. Die Firma hat beim Gericht beantragt, Dorsey nach den Quellen und Informanten fragen zu dürfen. Nun könnte WSG versuchen, dem Gericht weis zu machen, seine Angaben seien schlichtweg falsch. Oder aber, WSG habe von seinen Berichten Schaden getragen. In diesen Fällen könnte es dazu kommen, dass Dorsey alles auf den Tisch legen muss. ESPNSTAR.com Autor Jesse Fink beschreibt den Fall nüchtern: »Dorseys Fall ist Zeitverschwendung«. Er kritisierte das Vorgehen WSGs, geht gegen die Anschuldigungen gegen an. »Ich kenne Dorsey seit einiger Zeit. Ich bürge für seine Professionalität, seine Intelligenz und seine Arbeit. Seine Artikel zitiere ich regelmäßig und zwar nur aus dem Grund, weil sie einfach gut sind.« Auch Gianni Merlo, Präsident der International Sports Press Association (AIPS) nahm Stellung: »Jeder Journalist hat die Pflicht, über die Wahrheit zu berichten. Die Redefreiheit muss jedem Journalisten in jedem Land gewährleistet werden, die Gerichte haben dafür zu sorgen.« Für Merlo ist es undiskutabel, dass mächtige reiche Firmen, versuchen würden, ihre Geschäfte vor rechtlichen Konsequenzen zu verstecken. WSG benutzt Dorsey als abschreckendes Beispiel, was passiert, wenn Journalisten gegen sie berichtet – und wenn Informanten auspacken. Sie beugen vor, damit in Zukunft keiner mehr wagt, gegen sie das Wort zu erheben. Sollte WSG am Ende Recht bekommen, steht die Pressefreiheit vor einer dunklen Stunde. Zweifellos hat keine Firma das Recht einen Journalisten in so eine Situation zu drängen, die Pressefreiheit und Redefreiheit dermaßen zu untergraben. Der Prozess gegen Dorsey kann sich hinziehen. In der Zwischenzeit berichtet er weiter, über Bin Hammam, über die WSG. Einschüchtern kann man ihn nicht. Iranian state television has accused Singapore-based marketer World Sport Group (WSG) of trying to overcharge it for the broadcasting of Iranian national team 2014 World Cup qualifiers qualifiers in what it said was a breach of international rules. Mr. Rafiee said that Lebanese television had earlier this month for the same reason refused to pay WSG for the broadcasting of a World Cup qualifier in which Lebanon surprisingly defeated Iran. He said that WSG was encountering similar problems in South Korea. Mr. Rafiee’s assertions could not be immediately independently verified. Kabir News said WSG’s hiking of broadcast rights for 2014 World Cup qualifiers had angered fans in Asia. Apparent tension between WSG and national broadcasters comes as questions have arisen about the nature, terms and value of the company’s $1 billion marketing rights agreement with the Asian Football Confederation (AFC). Questions have also been asked about payments at the time that the WSG contract was being negotiated by a WSG shareholder to Mohammed Bin Hammam, the disgraced AFC president and world soccer body FIFA vice president. Mr. Bin Hammam has been suspended since more than a year initially on suspicion of bribery and more recently on the basis of an audit that accuses him of financial mismanagement and raises multiple concerns about AFC’s contractual relationship with WSG. The Qatari national has repeatedly denied any wrongdoing. Malaysian police last week arrested a man believed to be an associate of Mr. Bin Hammam on suspicion of theft of documents from AFC’s offices in Kuala Lumpur related to one of the WSG shareholder’s payments. AFC lawyer Mohamad Bustaman Abdullah said Tony Kang, the husband of Amelia Gan, the soccer body’s finance director under Mr. Bin Hammam, who was let go earlier this year, had surrendered himself to Malaysian police and was expected to be charged in court for his role in the theft. AFC reported the theft in late July after an audit by PricewaterhouseCoopers (PwC) raised questions about a payment of $2 million payment in 2008 by Saudi Arabia-based International Sports Events (ISE), one of three WSG shareholders, according to the company’s website. The audit said that the money had been paid into an AFC sundry account for Mr. Bin Hammam’s personal use. It said the payment by ISE, which is believed to have a ten per cent stake in WSG, as well as a second payment of $12 million by a related company, Al Baraka Investment and Development Co., were “of interest. Transactions of significant value between these parties (of both a business and purportedly personal nature) occurred around the time of the ($1 billion master rights) MRA contract negotiations with WSG,” PwC said in its report. WSG has refused to comment on the PwC report and has failed to respond to various requests for comment by this reporter in the past 15 month. However, WSG Group legal counsel Stephanie McManus in an August 28 letter in advance of initiating legal proceedings against this reporter in a bid to squash reporting and intimidate sources said that “PWC are incorrect and misconceived in suggesting that the MRA was undervalued. They have neither considered the terms of the contract correctly, the market, nor the circumstances in which it was negotiated.” Ms. McManus did not elaborate. Nonetheless, obviously stung by broad media reporting on the PwC report, WSG in a reversal of its no comment and failed intimidation policy was quick to deny the Iranian television assertions. WSG spokeswoman Shyamala Velappan in a statement sent to Kabir News denied Mr. Rafiee’s claims. “The information Mr. Rafiee has presented is incorrect and misleading. Firstly, the previous agreement to broadcast various AFC events for the period 2009 – 2012 was valued at US$4.5 million. The broadcast rights fee which we are negotiating with IRIB for the new cycle is US$11 million for all AFC national team and club competitions, which consist of approximately 1,300 matches over a four year period, not just the FIFA World Cup 2014 AFC qualifying matches. To put this figure into context, it represents only a tiny fraction of the rights fees being paid by other countries in the Middle-East for the same number of matches,” Kabir News quoted Ms. Velappan as saying. Egyptian militant soccer fans, one of the country’s largest civic groups, won their second political victory this month with the Egyptian Football Associations’ (EFA) disqualification of world soccer body FIFA executive committee member Hani Abou-Reida as a candidate for the EFA presidency. Mr. Abou-Reida’s disqualification was one of six demands put forward by Ultras Ahlawy, the militant, highly politicised, street battle-hardened support group of crowned Cairo club Al Ahly SC. The militants issued their demands after first storming an Al Ahly training ground and then the EFA’s headquarters. Mr. Abou-Reida, believed to be close to disgraced FIFA vice-president and Asian Football Confederation president Mohammed Bin Hammam, who was suspended 15 months ago on charges of bribery, corruption and financial mismanagement, was a member of Mr. Mubarak’s ruling National Democratic Party (NDP). Mr. Abou-Reida was further reported to have accompanied Mr. Bin Hammam last year on a private jet to Trinidad where the Qatari national allegedly sought to buy the votes of Caribbean soccer officials in his failed bid to challenge FIFA president Sepp Blatter for the soccer body’s presidency. The ultras also accused Mr. Abou-Reida of protecting Al Masri SC from severe punishment for an attack on Al Ahly fans in February in a politically loaded brawl after a match between the two teams in Port Said that left 74 people dead. Mr. Abou-Reida has not been charged with any Port Said-related offence. “Abou-Reida’s departure paves the way for Egyptian soccer to be managed by real soccer officials rather than by Bin Hammam protégés. His departure also removes one of the pillars of mismanagement in African soccer,” said a source familiar with the inner workings of the world’s major soccer bodies. The EFA said Mr. Abou-Reida, who last year resigned as EFA vice president, would only be able to run for the soccer body’s presidency in four years’ time because he had already served two consecutive terms as president. Mr. Abou-Reida is expected to challenge the EFA decision, which leaves businessman Ihab Saleh, former Ismaili player Osama Khalil and Luxor club chairman Galal Allam as candidates for the soccer body’s presidency. Besides Mr. Abou-Reida’s disqualification, the ultras demanded the resignation of Al Ahly’s board headed by Hassan Hamdy, another leftover from ousted president Hosni Mubarak’s era, an end to corruption in Egyptian soccer, depriving the police and security forces of responsibility for security in stadiums, continued suspension of professional league matches until justice has been done for the 74 dead Al Alhly fans, and unrestricted access to matches for club supporters. 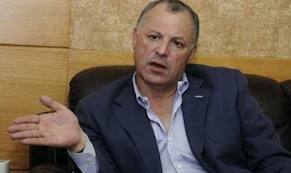 Mr. Hamdy’s endorsement of Mr Abou-Reida fanned the ultras’ distrust of the Al Ahly chairman whom they accuse of corruption. Mr. Hamdy doubles as head of the advertising department of Al Ahram, Egypt’s state-owned and largest newspaper. "We demand the resignation of Hassan Hamdy's corrupt board, which neglected the rights of the martyrs. Hamdy endorsed Abou-Reida merely to serve his own interests," the ultras said in a statement on their Facebook page that has some 577,000 followers. Authorities earlier this month caved in to the demand for a continued suspension of matches by delaying the resumption of professional soccer until mid-October. Professional soccer has been suspended in Egypt since the Port Said soccer incident when rival fans and unidentified armed elements attacked the ultras after a match against Al Masri in an incident that was widely seen as an effort to teach a lesson to the militants, who played a key role in toppling Mr. Mubarak and in the opposition to military rule during the 17-month run-up to elections in July that brought Muslim Brother Mohammed Morsi to power. The interior ministry, which controls the police and security forces, who are despised for their role in implementing the Mubarak regime’s repression and fought running battles with the ultras during the ousted president’s last four years in office, agreed last month to a lifting of the ban on soccer provided matches would be played behind closed doors. The ultras threatened to storm stadiums where matches would be played if soccer was resumed prior to the meting out of justice to those responsible for the Port Said incident and if the ban on fan attendance was not lifted. Seventy-four people, including nine security officials, are on trial for their alleged involvement in the brawl. Malaysian authorities have arrested an associate of suspended Asian Football Confederation (AFC) and world soccer body FIFA vice president Mohammed bin Hammam on suspicion of theft of documents from AFC’s offices in Kuala Lumpur. A AFC lawyer, Mohamad Bustaman Abdullah, identified the associate as Tony Kang, the husband of AFC’s finance director under Mr. Bin Hammam, who was let go after allegations of financial misconduct surfaced against the Qatari national, according to Agence France Press (AFP). Mr. Abdullah said Mr. Kang had surrendered himself to Malaysian police and is expected to be charged in court in Kuala Lumpur after police reports identified him as having participated in the theft. Mr. Kang’s arrest came as FIFA launched a new probe into allegations that Mr. Bin Hammam had last year sought to buy the votes of Caribbean soccer officials in his failed bid to challenge FIFA president Sepp Blatter in elections for the group’s presidency. Investigators have demanded documents from those involved at an extraordinary meeting of the Caribbean Football Union (CFU), where the bribes were allegedly paid on Mr. Bin Hammam's behalf, according to The Telegraph. A Fifa-headed letter dated Sept 7 gave recipients a week’s notice for the delivery of “all correspondence including emails, texts, SMS messages, letters or notes related to Fifa, CFU, Concacaf (the Caribbean, North and Central American confederation) or any other football-related entity with which you’ve been affiliated. A list of all email addresses and accounts — including personal, CFU, Concacaf accounts, as relevant — you have used... All financial records related to Fifa, CFU, Concacaf or any other football-related entity with which you’ve been affiliated,” the newspaper said. The FIFA investigation is in response to a ruling in July of the Court of the Arbitration of Sport (CAS) that overturned FIFA’s banning for life in July of last year of Mr. Bin Hammam from all involvement in professional soccer because of the bribery allegations. The court said FIFA had produced insufficient evidence for the ban, but made clear that its verdict was not a declaration that Mr. Bin Hammam was innocent and urged FIFA to do a more thorough investigation. Malaysian police are investigating the theft of documents from the AFC’s premises after the Asian soccer body reported that documents related to a payment by International Sports Events (ISE), a shareholder of Singapore-based World Sports Group (WSG), to Mr. Bin Hammam, had gone missing and were allegedly handed over to an associate of Mr. Bin Hammam, according to Malaysian police reports and sources close to the AFC. The AFC report was filed on July 31 by AFC finance director Kuan Wee Hong. Mr. Hong told the police in subsequent statements that the documents had been handed over to a Chinese male by the name of Tony Kang. Mr. Kang’s wife has since her departure from the AFC been employed in Mr. Bin Hammam’s home country as a club licensing officer by Qatar Stars League, which is headed by a member of the Qatari royal family, Sheikh Hamad Bin Khalifa Bin Ahmad Al Thani. The missing documents relate to a $2 million payment in 2008 by Saudi Arabia-based ISE, one of three shareholders of Singapore-based World Sports Group (WSG), according to the company’s website. A recent internal AFC audit conducted by PriceWaterhouse Coopers (PwC) said that the money had been paid to Mr. Bin Hammam for his personal use. The PwC report said the payment by ISE, which is believed to have a ten per cent stake in WSG, as well as a second payment of $12 million by a related company, Al Baraka Investment and Development Co., were “of interest. Transactions of significant value between these parties (of both a business and purportedly personal nature) occurred around the time of the MRA contract (a controversial $1 billion master rights agreement) negotiations with WSG,” PwC said in its report. PwC said that Al Baraka “may (through the Arab Radio & Television Co., which it owns) have been a 20% beneficial owner of the group at that time (of the payment). Further, our enquiries indicate that Mr Mohyedin Saleh Kamel, the Assistant Chief Executive Officer (Investments) of the Dallah Al-Baraka Group may have been (from 2005 2009) the Managing Director of ISE.” Al Baraka is a finance arm of Dallah Al Baraka that is owned by Saudi billionaire Saleh Kamel. PwC said that Mohyedin Saleh Kamel is believed to be Mr. Kamel’s son. It said that ART and ISE appear to share a post office box in Saudi Arabia. Neither Messrs. Kamel or their companies could be reached for comment. WSG has refused to comment on the PwC report and has threatened reporters, including the author of this report, with defamation proceedings. WSG has filed legal action against this writer, who has reported extensively on the Bin Hammam affair, in a bid to force him to disclose his sources and intimidate potential sources. Qatar Holding LLC, an investment arm of Qatar, holds a ten per cent stake in France’s Lagardere Unlimited, WSG’s largest shareholder, according to Lagardere’s 2011 annual report. However in an August 28, 2012 letter to this reporter WSG Group Legal Advisor Stephanie McManus asserted that “PWC are incorrect and misconceived in suggesting that the MRA was undervalued. They have neither considered the terms of the contract correctly, the market, nor the circumstances in which it was negotiated,” Ms. McManus wrote. The agreement is controversial both because of the unexplained payments as well as assertions by sources close to the AFC that the soccer group, in line with common practice among international sport associations, should have concluded a service provider rather than a master rights agreement with WSG. The sources said such an agreement would have given the AFC greater control of its rights and how they are exploited and enabled it to better supervise the quality of services provided by WSG. A July 31 Malaysian police report of AFC finance director Hong’s complaint says that he noticed that an “important document, which contained a bank report/statements belonging to former AFC president (Mohammad b Hammam), was missing from my office.” Mr. Hong told the police that he and a colleague, James Johnson, had last reviewed the document on July 13 and that “after that I kept the document back in a storage drawer” until he discovered that it was missing. Sources close to the AFC said that the soccer body within hours of reporting the missing document received a letter from Mr. Bin Hammam’s Malaysian lawyers accusing it of being responsible for the disappearance. The sources said the AFC had asked the Malaysian police to give it several days to conduct its own internal investigation before looking into the matter. The PwC report constituted the basis on which Mr. Bin Hammam’s suspension from the AFC and FIFA was extended. The report allowed the two groups to postpone any reinstatement of Mr. Bin Hammam after his banning was overturned by CAS.